School is IN!! 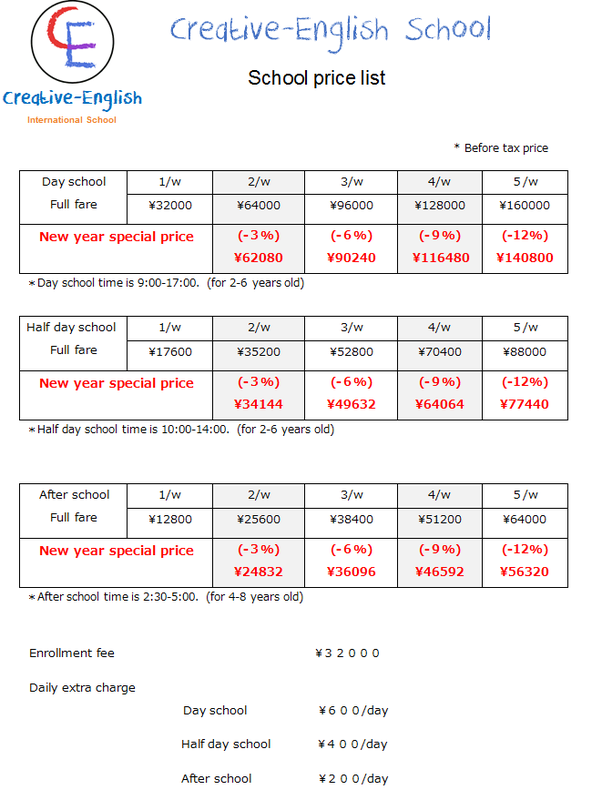 Creative-English is offering special deals for our early en-rollers Preschool and After school, we now offer Month or Term based pricing plans. Additionally call us to arrange a time to come and see our school, meet our Staff and find out more about our pricing plans. Additional options for our current period.